Race Day Is Saturday, October 6, 2018! Tabula Rasa Essentials is commemorating our 41st annual race by selling some fun Manhattan Beach 10k goodies! They have bamboo coasters with the 2018 John Post Finisher Tee image and trucker hats with our logo offered in royal blue and grey. Coasters are $12.00 each, truckers are $20.00 each. A portion of the profits will be returned directly to the #MB10k to support scholarships & community fitness-related causes. Thank you for shopping and supporting what we do! Speaking of shopping, we have more for you! Back by popular demand, we have teamed up with local Manhattan Beach and South Bay businesses! They have generously offered incentives to our racers during the weekend of the Manhattan Beach 10k Run and Hometown Fair. Any MB10k race participant can visit the following local merchants on October 6 & 7, 2018 with their bib number and claim what they are offering. We hope you enjoy the special deals as you visit! Please contact the individual business, check their websites or search on social with #mb10k & #2018bibpromo for specific details, rules & restrictions. Some offerings will be available past October 6 & 7, 2018. There is also a Village Runner coupon on the back of your bib number. Click on names and you will be taken to their websites. BIB NUMBERS ARE NOT MAILED - YOU MUST PICK-UP! If you registered online, you need to pick up your Bib Number at Village Runner, Manhattan Beach. See dates below and know we very much appreciate you coming Wednesday 10/3/18 or Thursday 10/4/18. HAVE YOUR REGISTRATION CONFIRMATION EMAIL READY (PRINTED OR ELECTRONIC) TO SHOW THE VOLUNTEERS AT THE STORE. You need to have a copy of your Registration Confirmation Email at bib pick up. If picking up for another, you will need to have a copy of theirs as well. Your confirmation email is necessary when troubleshooting any problems that may arise when picking up your bib number. *Those who pick up their bibs on these days will have a chance to enter a raffle - several prize levels including a Village Runner $100 Gift Card! Raffle winners will be notified via email. See store for more details/rules/restrictions. *NOTE: WE HIGHLY RECOMMENDED THAT YOU PICK UP YOUR RACE NUMBER IN-STORE PRIOR TO RACE DAY. IF YOU CHOOSE RACE MORNING PICK-UP, YOU MUST ARRIVE BETWEEN 6 - 7 AM. THE RACE STARTS AT 7:30 AM SHARP. TIMING MATS CANNOT BE LEFT ON INDEFINITELY BECAUSE OF HOW OUR COURSE DOUBLES BACK ON ITSELF. Looking To Be Entered As A Family Team? Once you have both bib numbers in-hand, click on this link to fill out the Family Teams form. Family team entry is open until Friday, 10/5 at 8pm and there is no fee to be entered. The MB10k offers 2-member team categories comprised of FAMILY MEMBERS only: (brother-brother, brother-sister, sister-sister, mother-daughter, mother-son, father-daughter, father-son) Medals will be awarded to the top 10 combined finishing times in each category and teammates do not need to run together. Good luck! As our gift to you, we are offering FREE photo downloads* after the #mb10k! (*hard copies are at participant's cost, limit for free downloads is 10 images) Ham it up, have fun, make sure you get your smiling face in front of the Endurance Sports Photo photogs on race day! Then go crazy being social using #mb10k to share race day with your friends and family! Register online only at mb10k.com for the Manhattan Beach 10k & enjoy EXTRA SAVINGS from July 1 through July 10! Race day is October 6, 2018. EXTRA SAVINGS will end July 10th at 11:59 p.m. PDT and prices will increase, so we encourage you to take advantage of this money saving opportunity now! When you register by July 10th you will be guaranteed the t-shirt style and size that you request! Please note that registration for this special pricing is only available on our website mb10k.com and NOT at the Village Runner, Manhattan Beach. You can register in-store beginning September 1st. Let’s get social! Please follow us on Instagram, Facebook and Twitter for all the latest news, updates, training tips, sponsors, volunteer opportunities & information about our awesome race and our beautiful hometown. Share with your friends on social media that you have registered for the race and invite them to run or walk with you. Race Day Is Saturday, October 7, 2017! HAVE YOUR REGISTRATION CONFIRMATION EMAIL READY TO SHOW THE VOLUNTEERS AT THE STORE. Please make sure you have fully read your CONFIRMATION EMAIL and bring a copy with you for pick-up. If picking up for another, you will need to have a copy of theirs as well. Your confirmation email is necessary when troubleshooting any problems that may arise when picking up your bib number. *Those who pick up their bibs on Thursday, October 5 will have a chance to enter a raffle - several prize levels including a Village Runner $100 Gift Card! Raffle winners will be announced after the race via email. See store for more details/rules/restrictions. *NOTE: IT IS HIGHLY RECOMMENDED THAT YOU PICK UP YOUR RACE NUMBER IN-STORE PRIOR TO RACE DAY. IF YOU CHOOSE TO DO RACE MORNING PICK-UP, YOU MUST ARRIVE BETWEEN 6 - 7 AM. THE RACE STARTS AT 7:30 AM SHARP. After race morning, all unclaimed awards will be at Village Runner, MB for 1 month after the race. After 1 month, unclaimed awards will be recycled for the future. No awards will be mailed. Awards will NOT be available at the Hometown Fair. Results only will be posted at Fair. We appreciate your patience with this new system. Any changes to the above will be announced at the awards stage on race morning. Something special for this year: OUR gift to YOU in honor of our 40th Birthday - FREE photo downloads* after the #mb10k! (*hard copies are at participant's cost) Ham it up, have fun, make sure you get your smiling face in front of the Endurance Sports Photo Photogs on race day! Then go crazy being social using #mb10K to share race day with your friends and family! Once again we have teamed up with local Manhattan Beach and South Bay businesses! They have generously offered incentives to our racers during the weekend of the Manhattan Beach 10K Run and Hometown Fair. Any MB10K race participant can visit the following local merchants on October 7 & 8, 2017 with their bib number and claim what they are offering. We hope you enjoy the special deals as you visit! For a full list of businesses click here. Tabula Rasa is commemorating our 40th birthday with bamboo coasters with images of the races since 1978. Available by race time, coasters are $12.00 each and a portion of the profits will be returned directly to the #MB10K to support scholarships & community fitness-related causes. Show your BIB, buy 4 coasters & pick your 5th coaster for FREE! Village Runner, Manhattan Beach is also offering a special promotion for our 40th from October 7-15, 2017. For every gift certificate purchase of $140 or more, they will donate $40 to the Mira Costa Cross Country program. After you cross the finish line, be sure to use the #mb10k Snapchat Geofilter and share your accomplishment with all your adoring fans! If you haven't had a chance to sign-up yet, there's still time! Registration is going on at Village Runner, Manhattan Beach through October 6, 2017, before 7 p.m. There is no race day registration! WE'LL SEE YOU AT THE STARTING LINE ON OCTOBER 7, 2017 AT 7:30 A.M. SHARP! 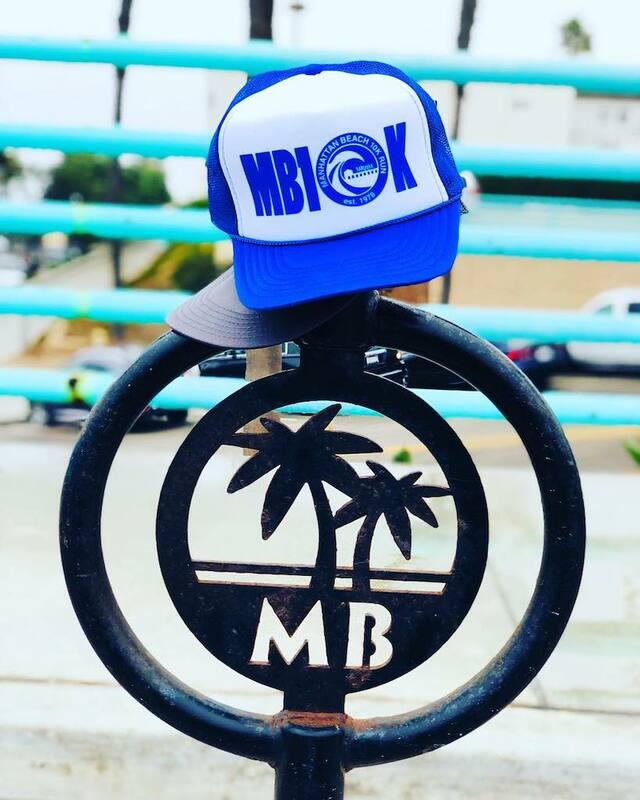 Register today at mb10k.com for the Manhattan Beach 10K Run and enjoy EXTRA SAVINGS! EXTRA SAVINGS will end July 10, 2016 at 11:59 p.m. PDT and prices will increase, so we encourage you to take advantage of this money saving opportunity now! Besides saving money at this time, we’ve added an extra bonus. If you register by July 10th you will be guaranteed the t-shirt style and size that you request! Please note that registration for this special pricing is only available on our website mb10k.com and NOT at the Village Runner, Manhattan Beach. You can register in-store during the month of September. Share with your friends on social media that you have registered for the race and invite them to run with you. Use the hashtag #mb10k when you post! Remember that the profits from this run go directly back to our Manhattan Beach schools and parks, so we want to get as many sign-ups as possible to keep generating those dollars back to the community. We’ll see you at the starting line on October 1st, 2016!